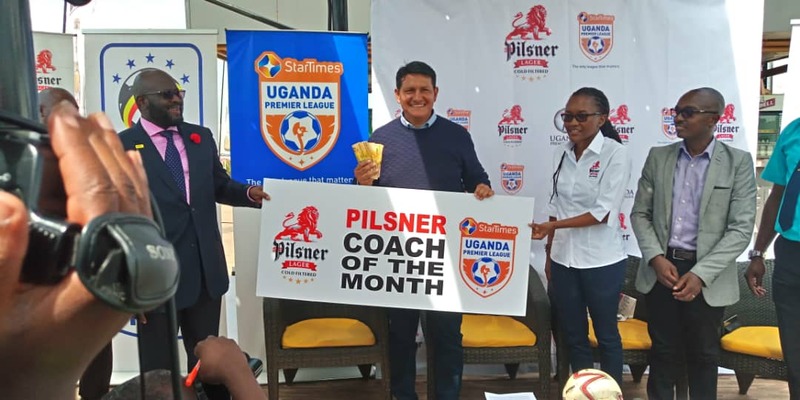 LUZIRA – Uganda Breweries through its brand, Pilsner Lager has on Tuesday, 20-11-2018 announced a partnership with the StarTimes Uganda Premier League to award the competition’s best players and coaches. This was during a press conference held at Uganda Breweries head quarters in Luzira. The partnership will see a Pilsner Man of the Match recognized and awarded after every league game as well as a Pilsner Player of the Month and a Pilsner Coach of the month recognized and awarded every month. Each Pilsner Man of the Match will receive UGX 100,000 while each individual of the month take home UGX 1,000,000. Speaking at the launch of the partnership, Uganda Breweries Head of Beer, Estella Muzito said that the sponsorship is one of the ways that Pilsner Lager is engaging football fans with a new and exciting experience in line with its own revitalized look and feel. 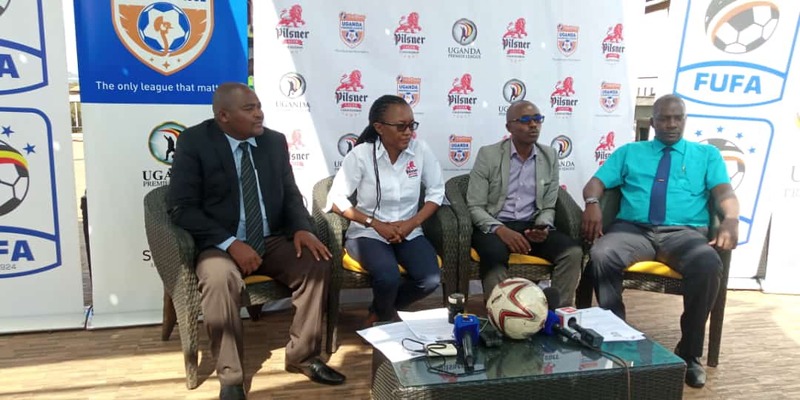 “As Pilsner Lager, we are keen to support football and to engage football fans around the country, said Muzito. “We did this at the start of the season through the Pilsner Super 8 and today I am pleased to announce this partnership with the Uganda Premier League that will see Pilsner encourage excellence in the league by awarding the man of the match, player of the month and coach of the month. At the launch, the player and coach of the month of October were also awarded. The player of October award was given to Joel Madondo of Kirinya JSS who scored four games in as many games while Vipers’ Javier Martinez Espinoza scooped the coach of the month award. They were both given a cash prize of One Million Shillings. UPL chairman, Arinaitwe Rugyendo welcomed the sponsorship saying it is a big boost for the competition. ” One of the ways of encouraging excellence is by recognising and awarding it and we are excited to be partnering with Uganda Breweries in this regard, said Rugyendo. “This I believe is one of the benefits of the title and broadcasting partnership with StarTimes that we announced at the start of the season. “The broadcasting of the league matches is improving the attractiveness of the league and I am pleased to announce this partnership with Pilsner Lager which is one of many more to come. The sponsorship deal that is worth over UGX 450m over 3 years will see Pilsner Lager taking up branding and activation rights at all league matches effective immediately. -Accolades for man of the match, player of the month and coach of the month. -Cash awards for man of this match, player of the month and coach of the month. The StarTimes Uganda Premier League resumes on Tuesday afternoon with Onduparaka FC hosting Ndejje University at the Green Light Stadium in Arua.